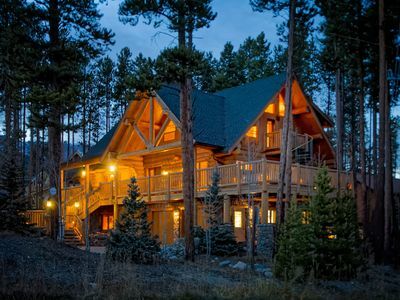 Walk to Slopes, Luxury Log Home, Close to Main Street, See Discounted Rates! 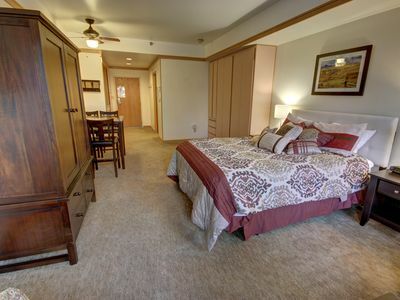 April SPECIAL: $495 a night. 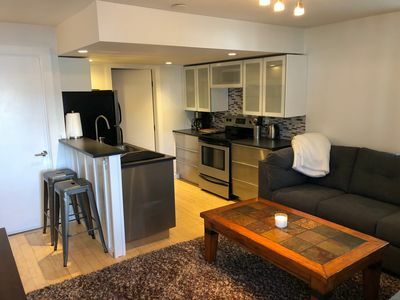 May SPECIAL: $495 a night. 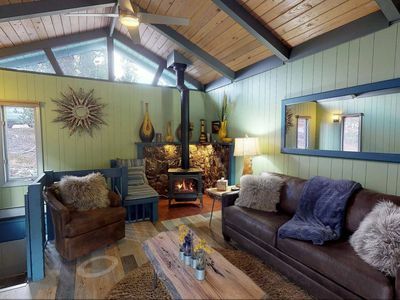 June 6 - 20 SPECIAL: $495 a night. 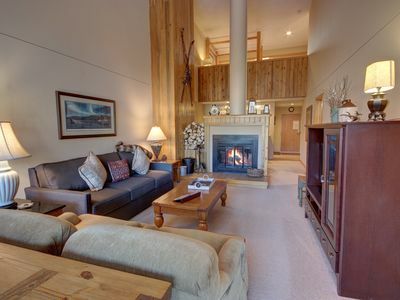 July 20 - 22 SPECIAL: $495 a night. August 7 - 9 SPECIAL: $495 a night. 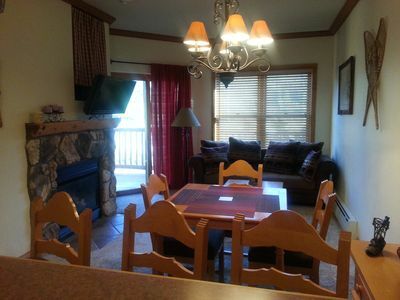 August 16-20 Weekend SPECIAL: $495 a night. LOCATION! LOCATION! LOCATION... in winter & summer! 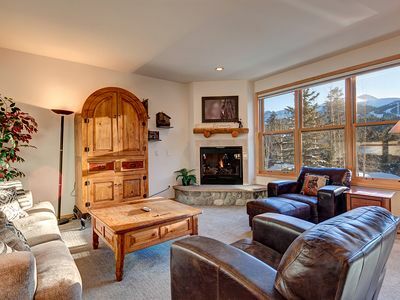 Ski Hill Lodge has the best location in all of Breckenridge... summer and winter. 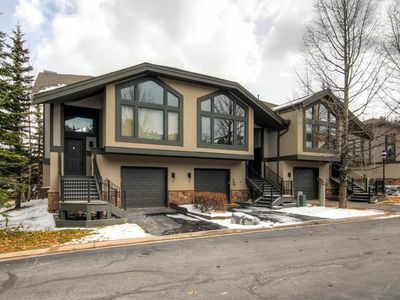 We are just 400 yards to 4 ski lifts. The free town shuttle is just steps away. 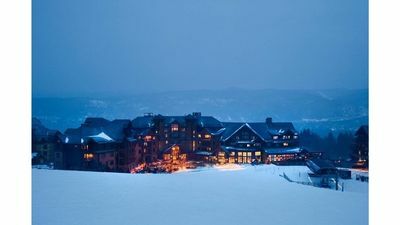 Walk or ride the ½ minute shuttle ride to the slopes or hiking trails. In the summer walk to The Peak 8 Fun Park, The Peaks Trail, and the many mountain biking and hiking trails. Main Street is just 2 minutes down the hill. 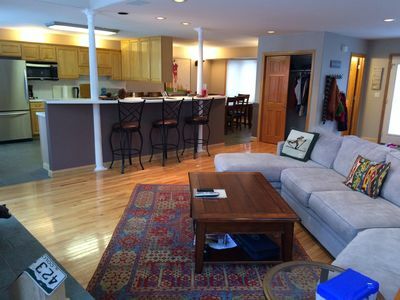 This home can easily accommodate several families. No car is necessary: ride the shuttle to Main Street or to the ski slopes...or walk! 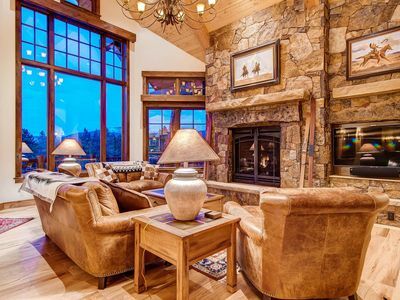 Ski Hill Lodge is a beautiful, custom full log home thoughtfully arranged on three floors and situated amongst all of the Peak 8 and town activities. 4 Ski Lifts just 400 yards away. Free town shuttle stop just steps away. 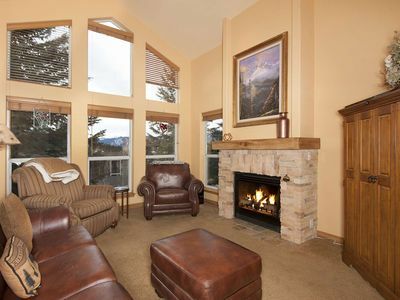 Enormous picture windows and bright southern exposure bathe the main level with natural light and incredible mountain vistas. 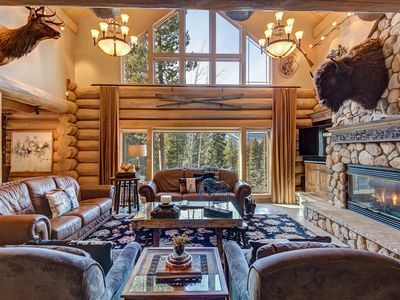 Ski Hill Lodge is beautifully decorated with exposed full log beams, rock fireplaces, and decor accents to highlight a life representative of a true outdoorsman. 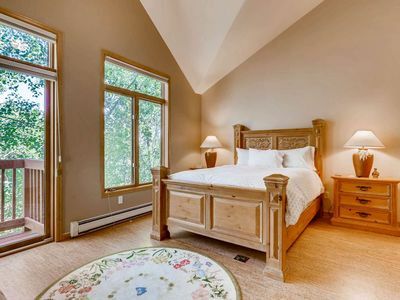 Relax in the private hot tub, enjoy the spacious wrap around deck with ski hill views, delight in dining and cooking in the open kitchen. 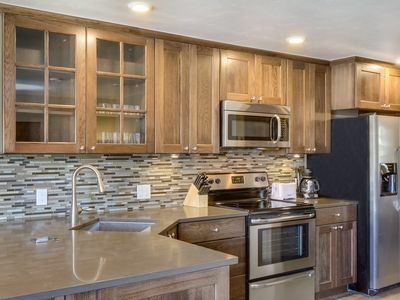 Ski Hill Lodge is perfect for families or several families seeking a little luxury surrounded by the great outdoors in such an ideal and convenient location. 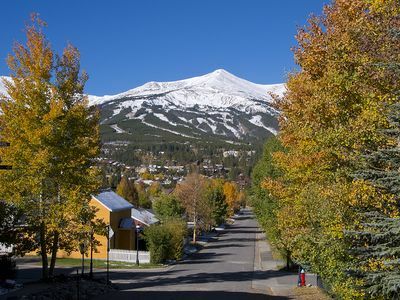 Members of your group can ski, while other members enjoy Downtown Breck. 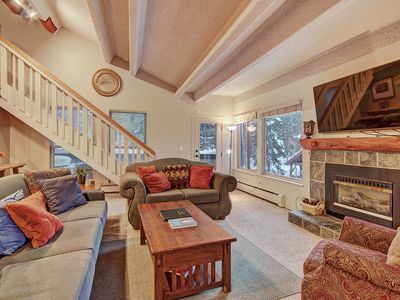 Ski Hill Lodge is not just a house, it’s a lifestyle. No car is necessary to get to town or the lifts. Located in the center of winter and summer activities! In SUMMER, walk to The Peaks Trail & Peak 8 Fun Park... The base of Peak 8 hosts the “Fun Park”, which provides summer mountain fun for the whole family: Gold Runner Roller Coaster, Alpine Superslide, Gemstone Panning, Mineshaft Maze, Rockpile Climbing Wall, Superbungee Trampoline, Bounce House, as well as: Breck 4x4 Tours, Brecktreks Guided Hiking Tours, Mountain Biking, Superputt Mini Golf, Free Scenic Gondola Rides, and Scenic Chairlift Rides up into the mountain! The “Tenmile Flyer Zipline” is departing at Peak 8 as well. You can reach speeds of up to 45 mph while sailing 50 feet high up in the air! 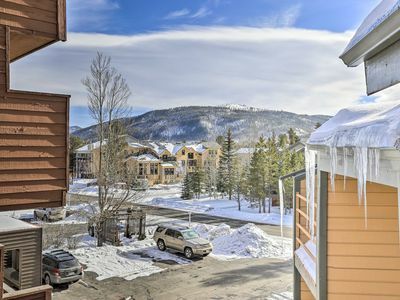 In WINTER, short walk to the ski lifts and even shorter walk to free shuttle stop located behind the house... ride the shuttle to the lifts or Main Street...or walk! 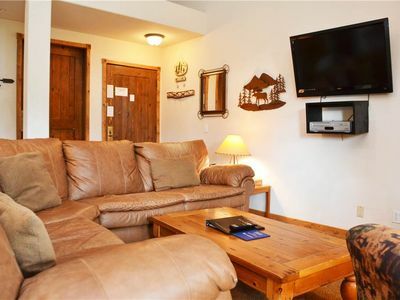 NO CAR NECESSARY... short walk to the ski lifts and even shorter walk to free shuttle stop located behind the house... ride the shuttle to the lifts or Main Street...or walk! PLEASE SEE MAP FOR LOCATION OF THIS HOME. CONTACT ME DIRECTLY IF YOU HAVE ANY QUESTIONS. 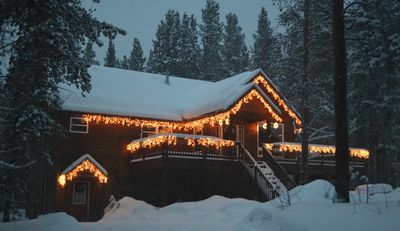 Minimum night stay requirements do apply and vary by season, however, we do allow shorter stays when availability permits. Concierge service for the property is available... arranging chefs, child care, travel planning, grocery shopping and more. 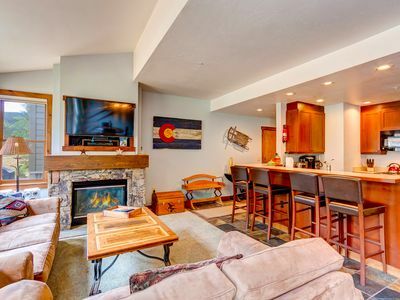 New Years Luxury (30Dec-2Jan) 1Bd/1Bath [Ski In/Out] Base Peak 7 - "Breck"